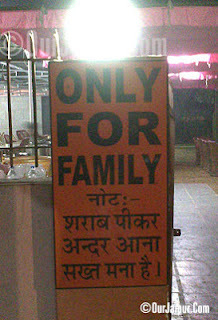 Sharma Dhaba Eating Place On the Main Highway. 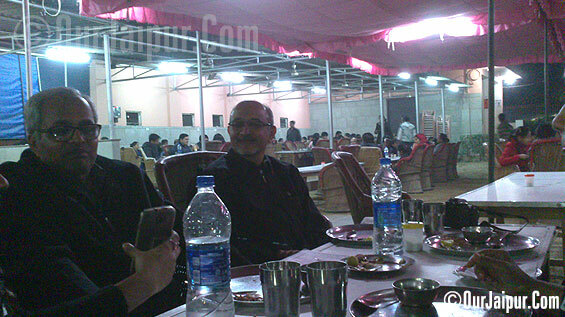 Sharma Dhaba is a roadside dhaba that Located on Jaipur – Sikar highway to the north of Jaipur, it was started as a small highway tea shop for truckers. Then, a few snacks were introduced to go with the tea and before they knew it, they Became a “Road side Eating Place at the cost of Five star Rates !”. Sharma Garden On the Backside. There are long tables and low mudhas placed just off the highway so you can hear the trucks and cars whizzing past as you eat, Basically Look and feel is still maintained as of Dhaba. 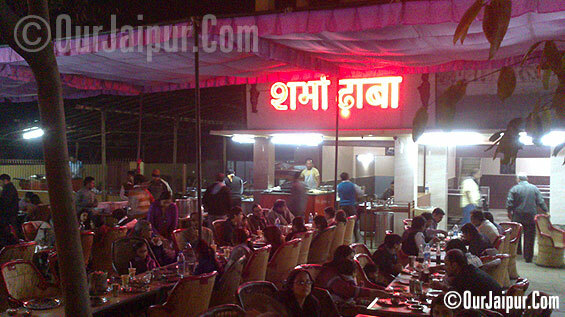 You Even have an Option Of Eating at Backside which is known as Shrma Garden. Naan, Yellow Dal Tadka, Malai Kofta, Khoya Paneer and Onions. 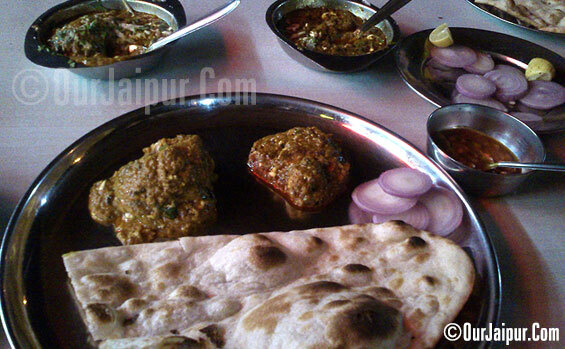 This is a vegetarian dhaba serves some excellent Rajasthani and Indian dishes Run by Puranmal Sharma. They pride themselves on the freshness of their ingredients. The naan is cooked in milk brought fresh from cows owned by them is their speciality. The Butter Naan and Lahsun Chutney (red chilli and garlic chutney) are to die for. Their roasted papads and Missi Roti, Yellow Dal Tadka, Malai Matar and Paneer Butter Masala and Mawa Naan are also very popular. 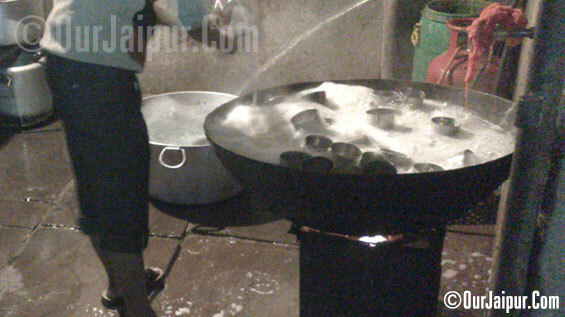 Utensils being washed in Boiling Water thoroughly. We Went There at Winter Time and Found that the Used Utensils are being washed in Boiling Water thoroughly and Found the Place and Food Pretty Hygienic. Food was Tasty but Service was Slow Might be because of Heavy Rush of Weekend. Basically This Dhaba is for all those “Higher Middle Class” or you Can say “Rich Families” Who want an Ambience of Dhaba With Tasty And Hygienic food in a Safe Environment. Entry after Drinking Is Prohibited.